The Halakha Hotline of the Five Towns has sent Arutz Sheva a clear and user friendly gude to cleaning and checking for chametz. Although we clean our homes thoroughly before Pesach,we are still required to perform a proper bedikas chameitz(search for chameitz) in every place in which chameitzmight have been brought (see note). This includes all rooms regarding which there is reason to suspect that one might have brought in chameitz or into which one walked during a meal or during the course of a snack. Closets, shelves and drawers regarding which there is no reason to imagine that chameitz was brought in their vicinity do not require bedikah. If small children walk around the house carrying chameitz, one must check any area (even drawers) accessible to them. After rooms have been cleaned for Pesach, children should not be permitted to walk around with chameitz. Until Erev Pesach, one may give children Pesach macaroons or the like with a hechsher (Kashrus supervision) on which one relies during the year even if one would not rely on that hechsher on Pesach (due to one’s personal Pesach stringencies). One may also give them egg-matzos or rice cakes, even though – according to Ashkenazic custom – these foods are not eaten on Pesach. If our homes are large and difficult to check properly in one night, one may begin bedikas chameitz several nights earlier, checking one or more rooms each night – without a b’rachah. One may certainly use an electric flashlight to check at such time (see note 4). At least one room must be left to be checked on the night of bedikas chameitz, at which time the b’rachah is recited. The custom is to place ten pieces of chameitz around the house on the night of bedikas chameitz (see note). It is preferable that they be placed by someone other than the one who will be performing the bedikas chameitz (see note). However, they should not be placed by young children, who are liable to forget where they placed the pieces, unless an adult (or at least a responsible child) keeps track of where the pieces are placed. Each piece should be less than a k’zayis (olive size), and preferably wrapped in a tissue wrap, and sealed with tape. Collectively, the pieces should add up to at least the size of a k’zayis. (but see note). One should not place the pieces in unusual places that do not require bedikah. When cleaning for Pesach, one is not required to move heavy appliances such as a refrigerator or washing machine (unless it is easy to do so, such as if they are on wheels). (See note for exception.) One should merely clean and vacuum under and around such appliances as best as possible. If it is possible to remove the bottom drawer of the oven or the bottom panel of the refrigerator and clean underneath, one should do so (since there might be significant chameitz underneath and/or out of concern that some chameitz might get dislodged and make its way into the kitchen on Pesach). One who will be away from home for Pesach must nevertheless perform bedikas chameitz and must, therefore, rid one’s home of chameitz. If doing such is difficult, one may sell the entire house to the non-Jew to whom one is selling one’s chameitz. Note: Even if the house no longer requires bedikah, one is required to somehow fulfill one’s personal obligation of performing a bedikah. One should discuss with one’s Rav whether to exclude one room of the house from the sale to the non-Jew and to perform bedikahon that room, or/and perform bedikah where one is staying for Pesach on the night of bedikas chameitz. Burning the chameitz: One should dispose of most of one’s chameitz before Erev Pesach. Only a small amount ofchameitz should be kept for burning, but one should make sure that it is at least the size of a k’zayis (see note). One should not attempt to burn flour, vacuum cleaner bags, bagels, macaroni, or anything wrapped in a plastic bag, since these are difficult to burn and are likely to not be consumed completely by the fire. Moreover, we prefer halachically to destroy the chameitz specifically through burning; but items that are wrapped in plastic might become unfit for consumption (by even a dog) due to the melted plastic – and, hence, rendered halachically destroyed – before they are burned. Such items, if remaining, should be thrown into a public garbage bin before burning the chameitz or at least before sof z’man bi’ur. One may not eat matzah on Erev Pesach, but one may eat Pesach kneidlech (matzah balls) until the end of the ninth proportional hour of the day. There is a dispute amongst the Poskim (halachic authorities) whether one may eat matzah-meal cakes on Erev Pesach even before the end of the ninth hour of the day. There are different standards regarding the matzos one eats on Pesach. L’chatchilah (preferably/initially), one should eat only hand-baked shmurah matzos for the Pesach Seder. However, some have the custom to use machinematzos even for the Seder; the matzos must still be machine- shmurah matzos. There is a worthwhile chumrah (stringency) to eat only shmurah matzah (hand or machine) the entire Pesach. Those who use non- shmurah matzos for the remainder of Pesach should try to use only “18-minute” matzos with a reliable hechsher. One should note that all products containing matzah-meal or cake-meal should be of the same standard as the matzos that one eats. Most Pesach cakes, snacks and cereals that contain matzah-meal are not made from “18-minute” matzos. It is preferable to use red wine for the four kosos. However, one who dislikes red wine may drink white wine (see also note). Before Yom Tov, one may mix white wine with red wine to give it a red color. If one did not mix the wines before Yom Tov, the custom is to allow mixing them on Yom Tov if one first pours the red wine into the receptacle and then adds the white wine, thereby avoiding a concern of the melachah of tzove’a (“coloring”) on Yom Tov (see note). See Shulchan Aruch Orach Chaim 433:11 and Mishnah Berurah #45-46. See Dirshu Mishnah Berurah note on #45 for a discussion of how thorough a bedikah is required . Cf. Sha’arei Teshuvah onRema (ad loc.). That is, the night before Pesach (unless Pesach begins on Motz’ei Shabbos, in which case the night of bedikas chameitz is Thursday night, not Friday night). Literally: the head of household. In our houses, using a candle often poses a fire hazard. However, the minhag (custom), based on the Gemara (Pesachim 7b-8a) is to use a candle. It is possible to preserve the minhag yet remain safe by reciting the b’rachah and beginning the bedikah with a candle – in a non-flammable area, and then switching to a flashlight shortly thereafter. See Dirshu Mishnah Berurah n.e. 432:12 note 17. Nevertheless, it would seem that one who will be performing the bedikas chameitz and has no one else to place the pieces may place the pieces oneself. See M.B. 445:10. If one intends to burn only the 10 pieces of bread (see below in the article), one should make sure either that the 10 pieces add up to the size of an egg, or that one adds extra bread to the 10 pieces before burning so that the total one burns add up to the size of an egg (see note 11). See Koveitz Halachos, Pesach 6:25, based on Shulchan Aruch O.C. but see note that follows). Likewise, any piece of furniture that might become damaged or cause damage (to the floor or carpet) by moving need not be moved for bedikas chameitz. If, however, one places in a location a large appliance within 30 days before the night of bedikah,the leniency does not apply (see S.A. ibid.). Thus, if within 30 days before the night of bedikah one wishes to place a large appliance in a location, one should perform a proper bedikas chameitz on that location before placing the large appliance (Koveitz Halachos, Pesach 6:26). Due to the doubt as to the precise measurement of a halachic k’zayis, one should burn chameitz at least the size of an egg. See M.B. 486:1. See Halichos Shlomo, Pesach 6:10 with notes 45 and 46; and Seder Pesach K’hilchaso 15:4 with note 10. Sof z’man bi’ur is the time before which all chameitz must be destroyed, sold, or disposed of. (This year – 5779/2019, in the Five Towns/Far Rockaway vicinity, sof z’man bi’ur according to the opinion of the GR”A (see note that follows) is at approximately 11:47 AM, and according to the opinion of the Magen Avraham is at approximately 11:35 AM – if calculating with alos hashachar as 72 minutes before haneitz hachamah and tzeis hakochavim as 72 minutes after sh’kiah; and approximately at 11:32 – if calculating with dawn to be when the sun is 16.1 degrees below the horizon and nightfall to be when the sun is 8.5 degrees below the horizon.) 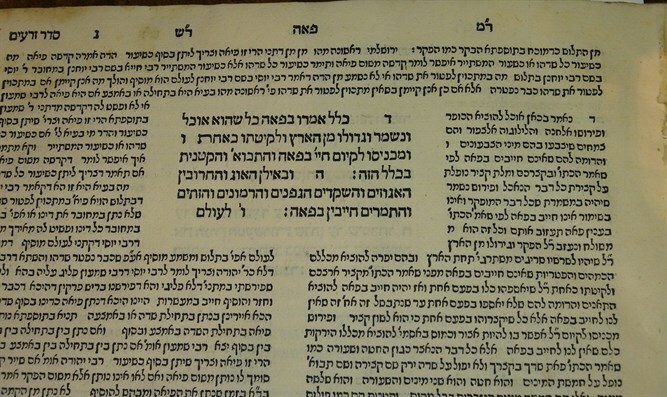 The Mishnah Berurah (443:8) writes that with regard to achilas chameitz one should l’chatchilah (initially/preferably) follow the more stringent opinion of the Magen Avraham. Perhaps the same ruling applies to bi’ur chameitz. See Rema O.C. end of 471:2 with M.B. #20; see also Koveitz Halachos, Pesach 16:7 note 9 at length. See S.A. O.C. 460:1 with Bi’ur Halacha s.v. matzas mitzvah. Cups of wine at the Pesach Seder. S.A. O.C. 472:11. If one has both red wine and white wine and the white wine is superior to the red wine, one may use the white wine (S.A. ibid.). Cf. Dirshu Mishnah Beurah note to 472:38 for a discussion. Labor forbidden on Shabbos/Yom Tov. Im Yirtzeh Hashem (G-d Willing).